I originally saw this image over on Babble. This beautifully delicious chocolate chip cookie ice box cake is from Martha Stewart, but I couldn't find it on Martha's site. But then I stumbled upon the recipe over at at Gordon's Gossip and thought I would do a little more digging. 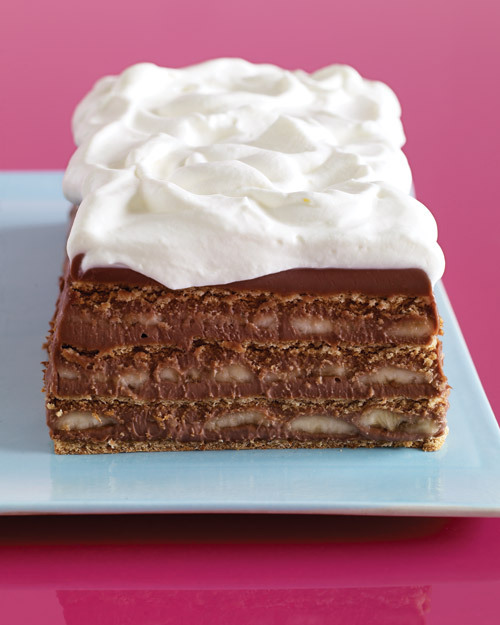 I have never had an icebox cake, but it sounds like a fun thing to try in the summer when it is too hot to turn the oven on. And you can make them with just about any cookie. 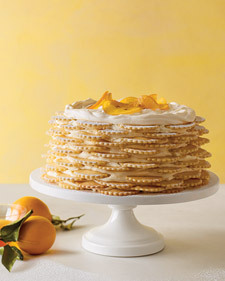 Martha has a recipe for a lemon icebox cake that looks delicious too. 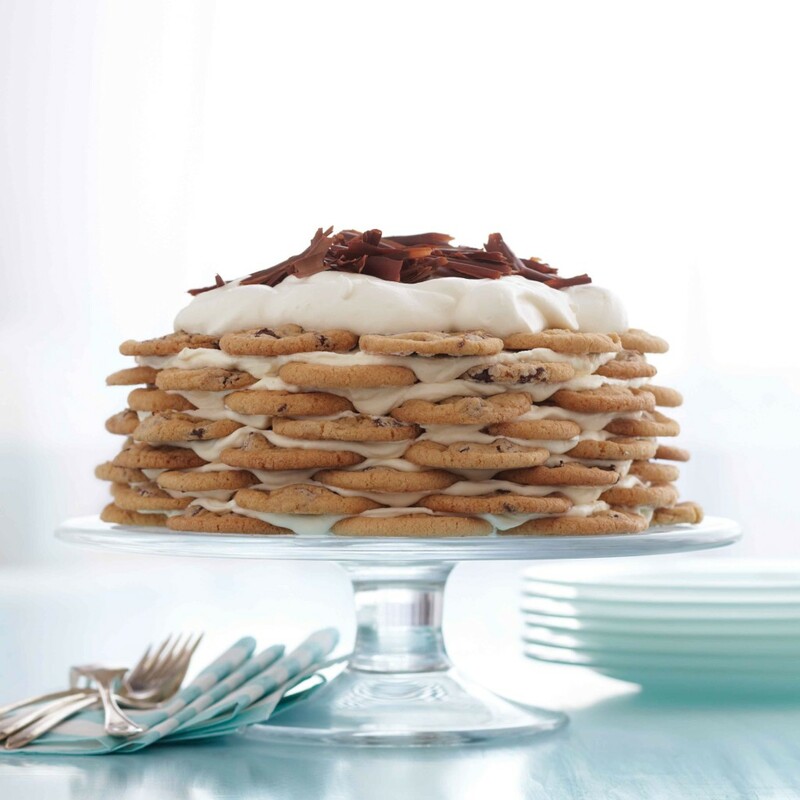 You can check out more of Martha's icebox cakes HERE. 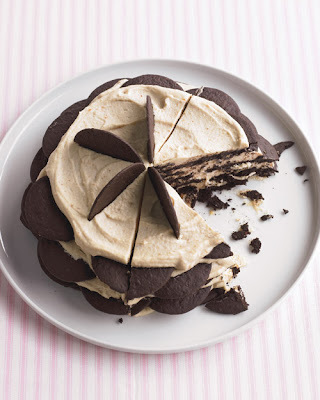 I had no idea Martha had a chocolate chip cookie cake recipe!! I posted one on my site at the end of June that involves make a 3 giant chocolate chip cookies! YUM!! Oh! Off to check it out! I will take one of each :) Yum!